A passenger train derailed in eastern India today, killing at least seven people and injuring several others, a report said. 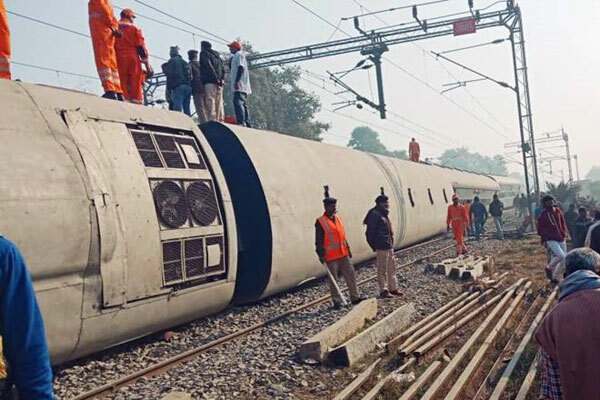 Nine coaches of the Delhi-bound Seemanchal Express jumped the tracks in Vaishali district of Bihar state in the early hours of Sunday, of which three capsized during derailment, said a report in Business Today. A team of the National Disaster Response Force and local police and fire officials had rescued most of the passengers. Preliminary investigations indicated that the accident may have been caused by fractures on the tracks, a statement from the railways said.